Bethany Larter, 24, of Upperton Gardens, Eastbourne, pleaded guilty to driving an Audi vehicle on Jevington on May 10, while over the drink drive limit. She gave a breath alcohol reading of 65 microgrammes. The legal limit is 35 microgrammes. She was fined £120 and banned from driving for one year. 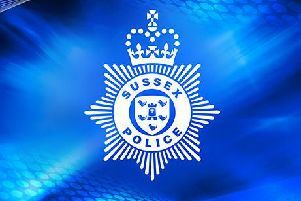 Winston Pababi, 44, of Osborne Road, Eastbourne, pleaded guilty to driving a Chevrolet Captiva on Bourne Street, Eastbourne while over the drink drive limit. He gave a breath alcohol reading of 50 microgrammes. The legal limit is 35 microgrammes. He also pleaded guilty to driving with no insurance. He was fined £350 and banned from driving for one year. Francis Rogers, 59, of Brewery Mews, Hassocks. West Sussex, pleaded guilty to failing to provide a specimen of breath for analysis when required to do so by police under the Road Traffic Act 1988. The offence took place at Eastbourne on May 13. He was fined £600 and banned from driving for one year. Buster Sinclair, 27, of St Richards Road, Chichester, West Sussex, pleaded guilty to two charges of assault by beating. The offences took place at Eastbourne on February 19 and 20. He also indicated a plea of guilty to being in possession of a large kitchen knife in a public place, at Clarence Mews, Eastbourne on February 19. He was committed to Lewes Crown Court for sentencing on June 27 and released on unconditional bail. Gary Ives, 37, of Woodfield Road, Crawley, pleaded guilty to assaulting a woman by beating her. The offence took place at Eastbourne on April 22. He also pleaded guilty to making a call to Sussex Police, on the same date, in which he threatened to kill a woman. The court made a community order with a requirement of 150 hours of unpaid work. They also issued a restraining order. Hannah Scott, 25, of Collingwood Close, Eastbourne, was found guilty of two charges of assaulting a man by beating him. The offences took place at Eastbourne on October 8 last year. The court made a community order and ordered her to pay £560 costs. Magistrates directed that there should be no compensation because of limited injuries and the fact that all parties were drunk.